My name is Fran Smith. 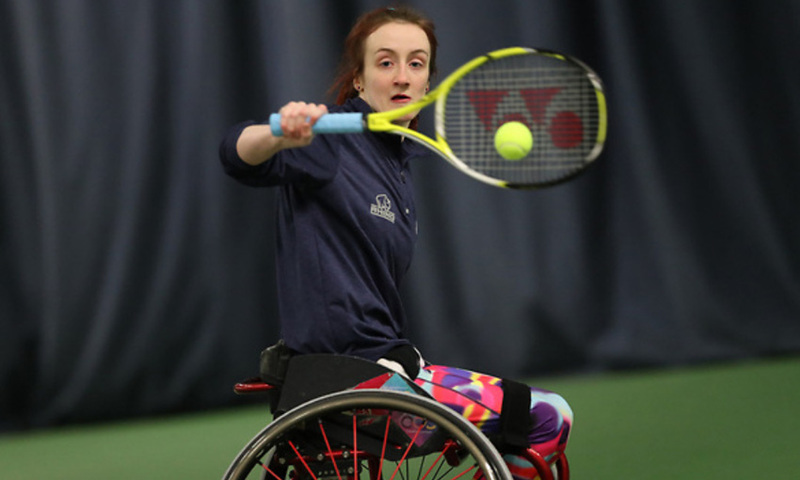 I’m 18 years old, and I’m an elite para-athlete in wheelchair tennis. 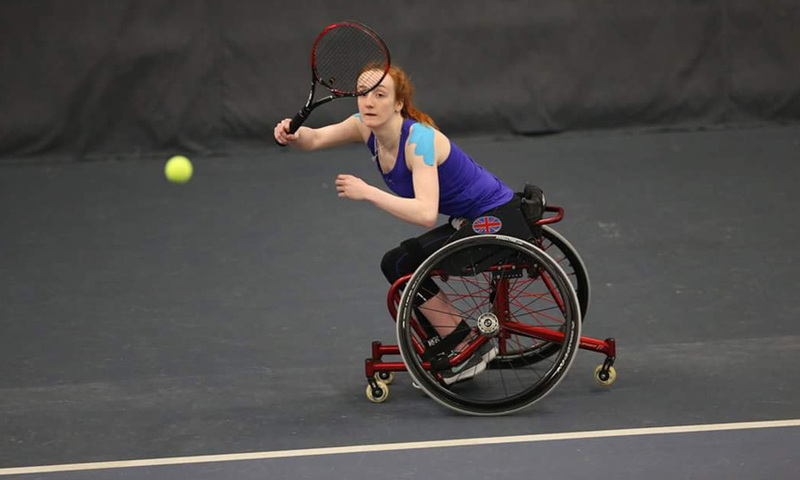 I attended my first wheelchair tennis camp in June last year, and currently I am the number 1 junior female in Great Britain and overall number 38 female junior in the world. Currently I am in my 9th month of playing, and within that time I have won the British Open Junior Girls Singles and double gold in singles and doubles at the School Games 2017. It all sounds pretty impressive, right? 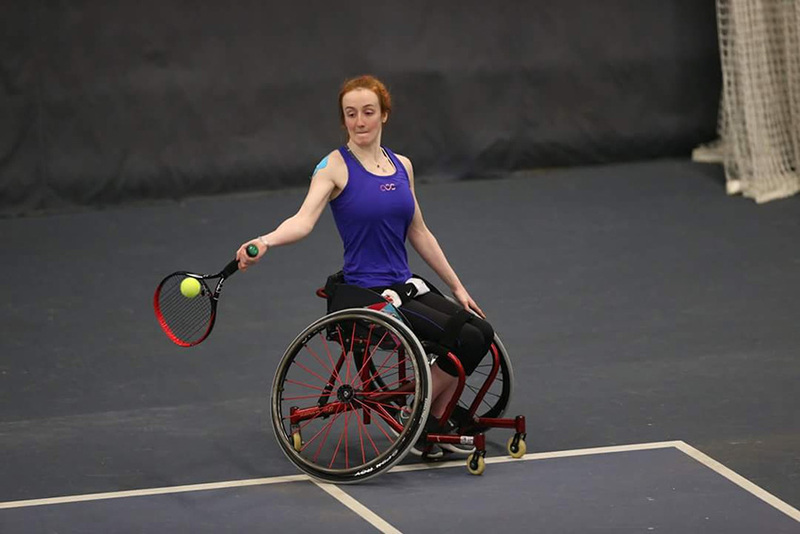 It might be, but I didn’t sit in a sports wheelchair with a tennis racket and suddenly gain the wonderful ability to play. For 13 years I was a tennis player in the running game. At age 16 I had to quit because my body could not cope, and the risk of doing severe damage to my legs was too high. For 6 years I have had a battle with my own body and the NHS. In total, I’ve had 6 physiotherapists (2 of which were specialists), 2 rheumatologists, 1 neurologist, 1 ear, nose and throat (ENT) specialist and 1 very scared general practitioner (GP). If you were to see me in person you would not believe I have a disability (I’m still waiting for someone to come yell at me in the car park about how I’m unworthy of a blue badge), mainly because I actually can walk. It’s taken a lot of hard work to get to where I am now. Psychology is crucial to me, especially as I’m progressing so fast within my sport. Last year I was sad all the time, more sad than usual, because I had no sport, what felt like nothing to do, no ambition, and basically no life. This sadness led to me living inside my head too much and anxiously over analysing every detail I was given. Luckily, I managed to pull myself together before I turned into a bed slug for the rest of my life! 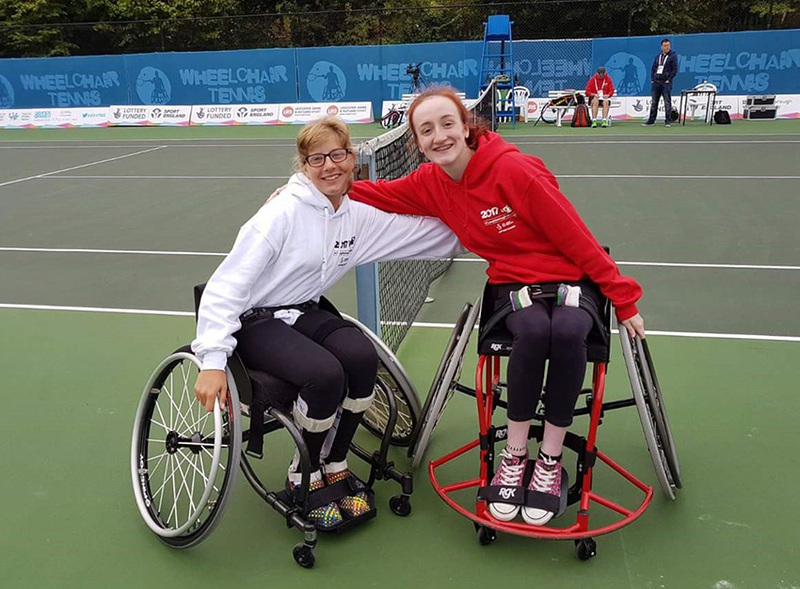 Wheelchair tennis is very competitive but it’s friendly too! A prime example is the latest tournament I competed in which was the Wheelchair Tennis Nationals just before Christmas ’17. I lost my first match because I felt like I had a cartoon road runner in my head – instead of focusing on my opponent I was too focused on getting my elements right. After some down time after the match I realised that the reason I lost is because too many people came up to me asking what my plan was for the game, how was I going to beat them, what strategies did I have? All that before a match can be pretty overwhelming. Your mindset is just as important as your fitness. Safe to say that by my first consolation match I had given the road runner the boot and replaced it with as little as possible. I just played tennis. By just playing tennis I won the consolation overall and beat two women I am in direct competition with for a spot on any GB teams. In all honesty, during those two matches it didn’t even feel like I had a brain, I’m pretty sure it was a tennis ball in my head instead. Obviously, everything is still baby steps towards my goals, but one thing psychology does is make me stop and think.